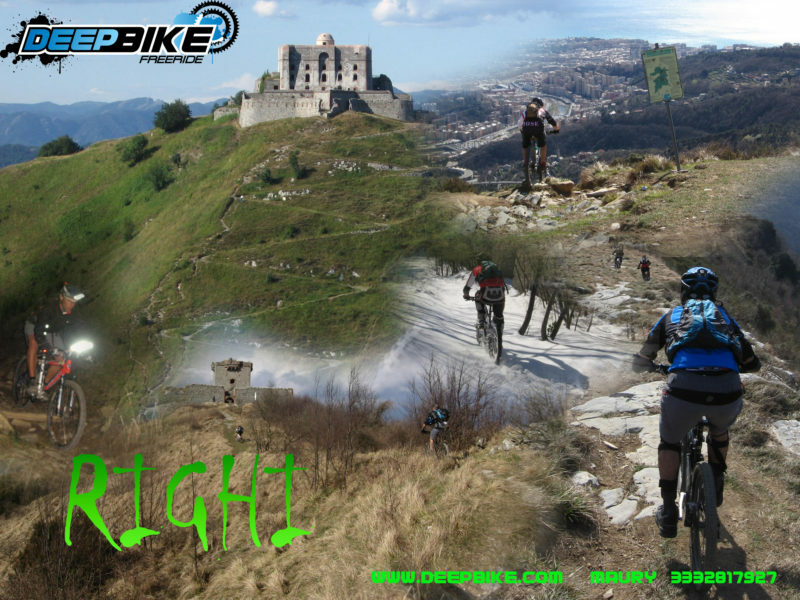 We are an amateur sports association, we love sports, we love nature, wilderness and mainly mountain biking. You can find us in Liguria: Genova, Rapallo, Sestri Levante, Deiva Marina and Levanto. 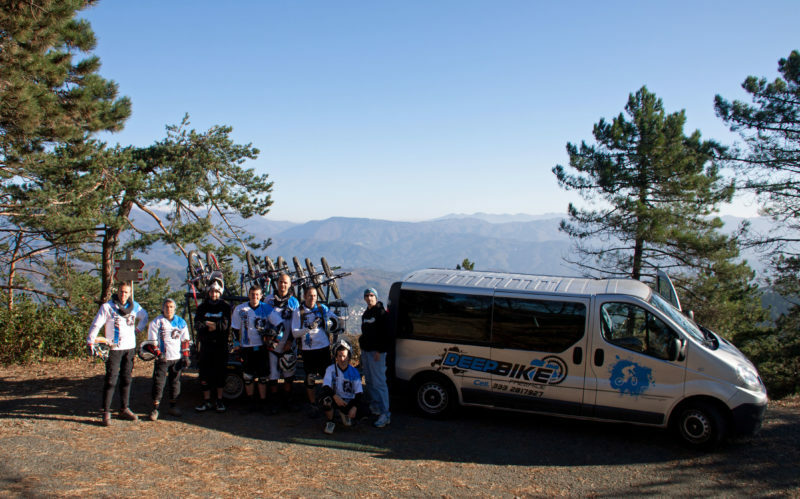 BIKE SHUTTLE: valet service to the most important starting points of mountain bike trails in Liguria. 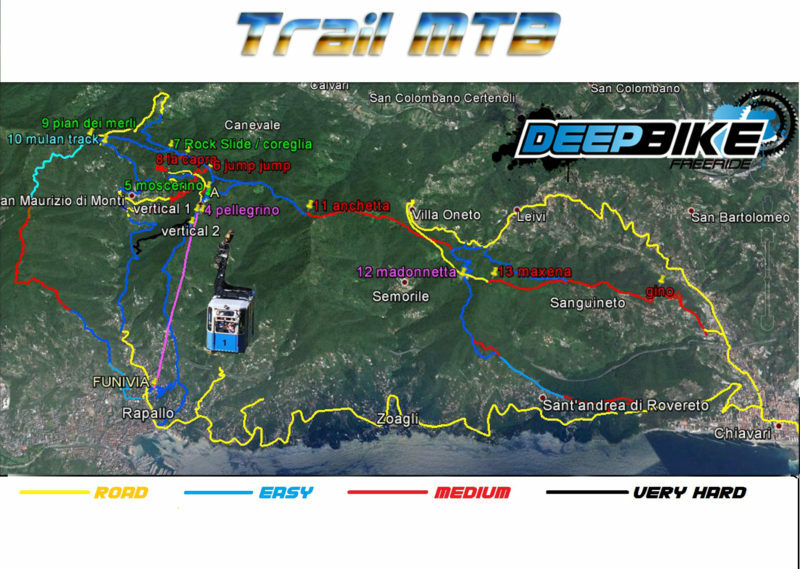 Uphills are mainly towards Sestri Levante, Bracco/Levanto, Rapallo and Genova. 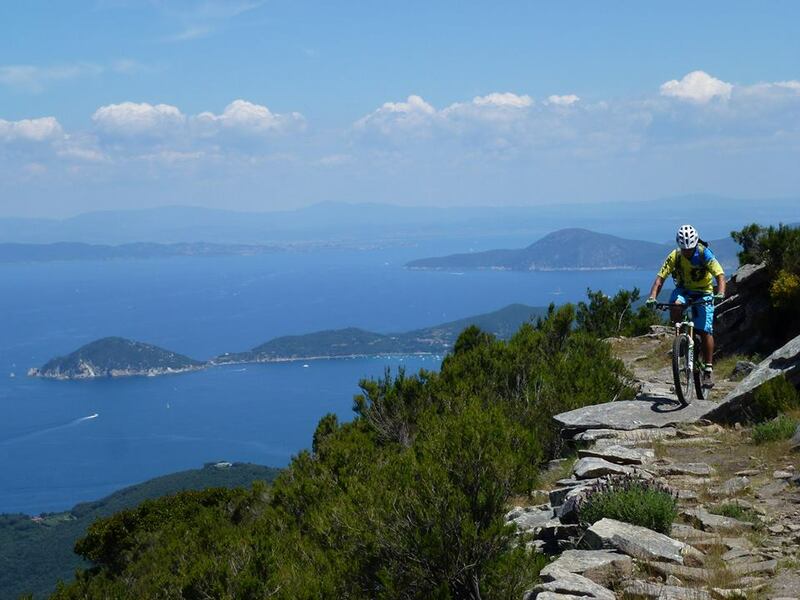 FUNICULAR RAILWAY AND PATHS: management and maintenance of trails for mountain biking towards Rapallo. Collaboration with local Funicular railway to guarantee full service. 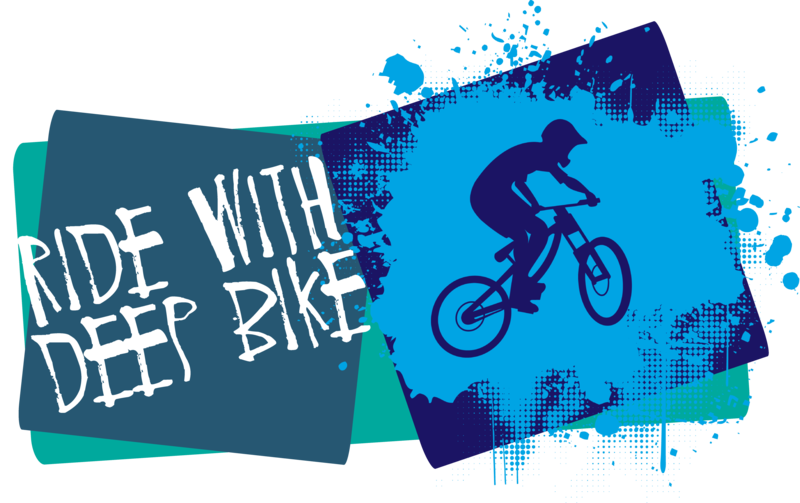 MOUNTAIN BIKE LESSONS: apprenticeship of mountain biking based on participants’ level (beginner, basic, intermediate, advanced). 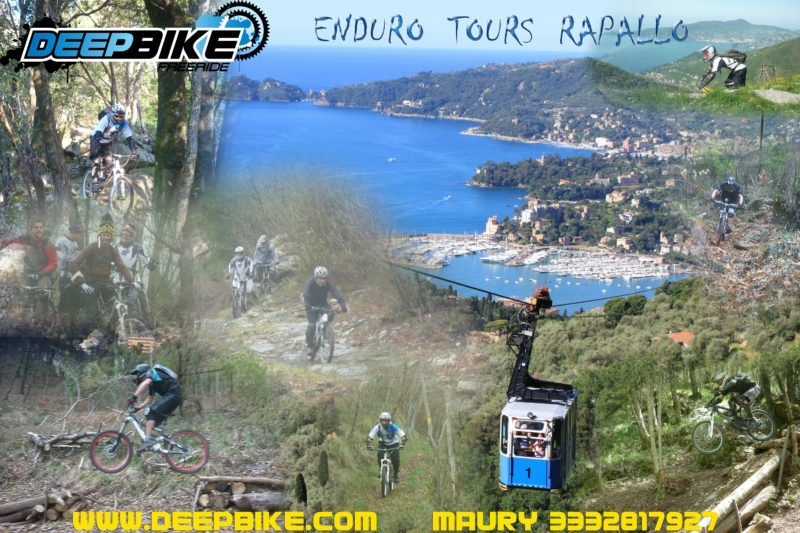 ENDURO TOUR: guided tours throughout the big Ligurian area, from Portofino to Cinque Terre, from the strongholds of Genoa to Finale Ligure. 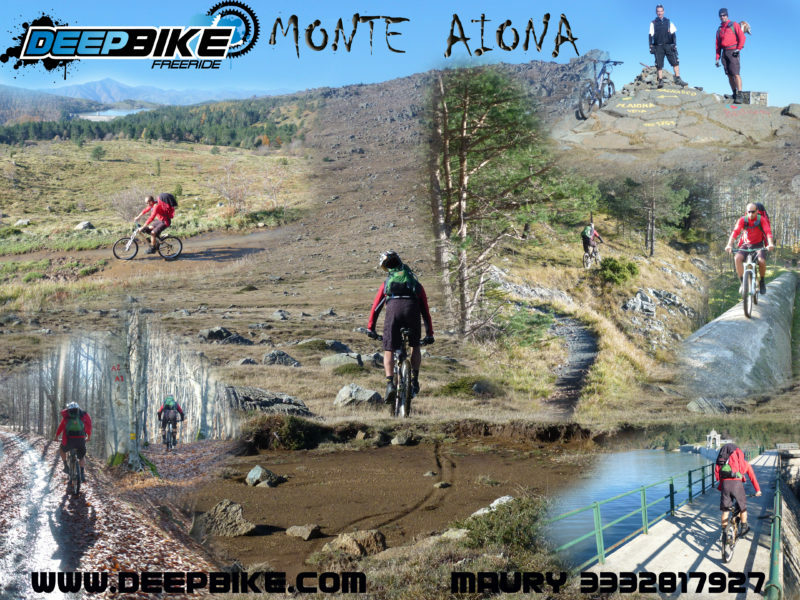 EQUIPPED AREAS: MTB school camp for all ages, pump track. INSTRUCTORS/GUIDES: within the association, you can find mountain bike instructors with BLS-D (Basic Life Support-Defibrillation) certified training. 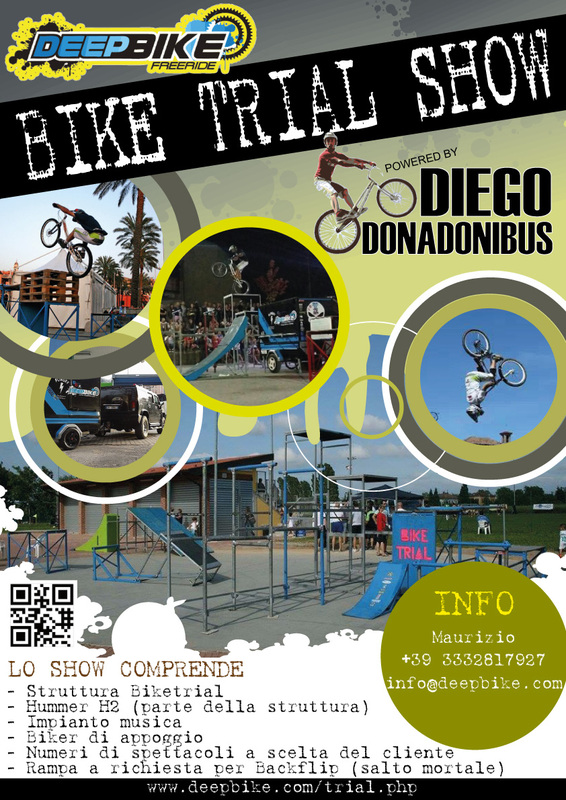 BIKE TRAIL EXHIBITIONS: organisation of bike trail and freestyle events in collaboration with athlete Diego Donadonibus. 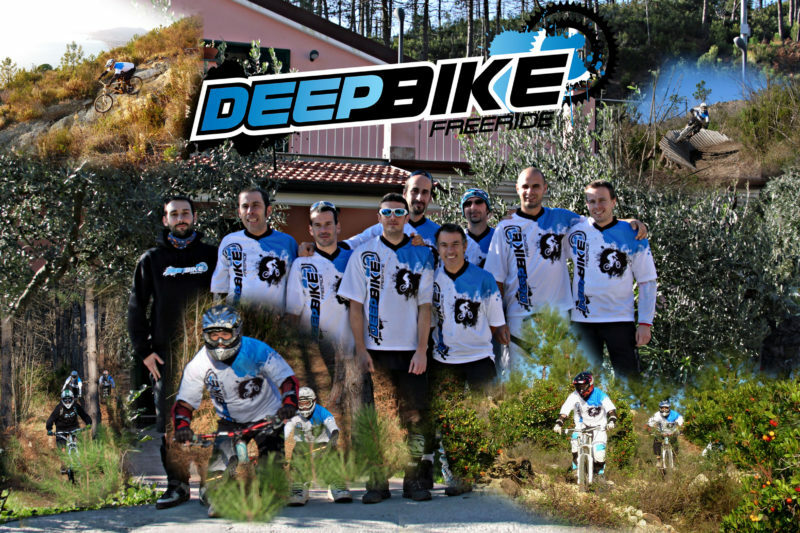 TECHNICAL OUTFIT: availability for all associates of DEEPBIKE Technical sweater, with long and short sleeves, customised. 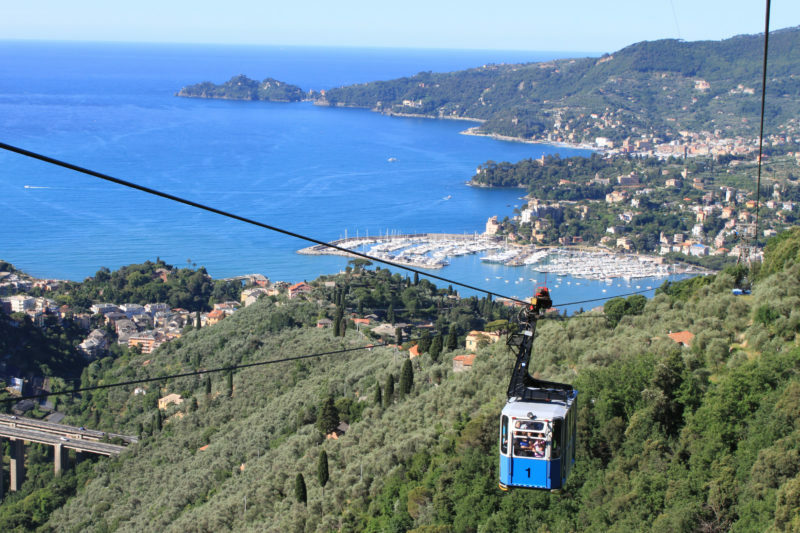 Wether you pedal, take the funicular or the Shuttle bus, come and discover all the trails in Tigullio! 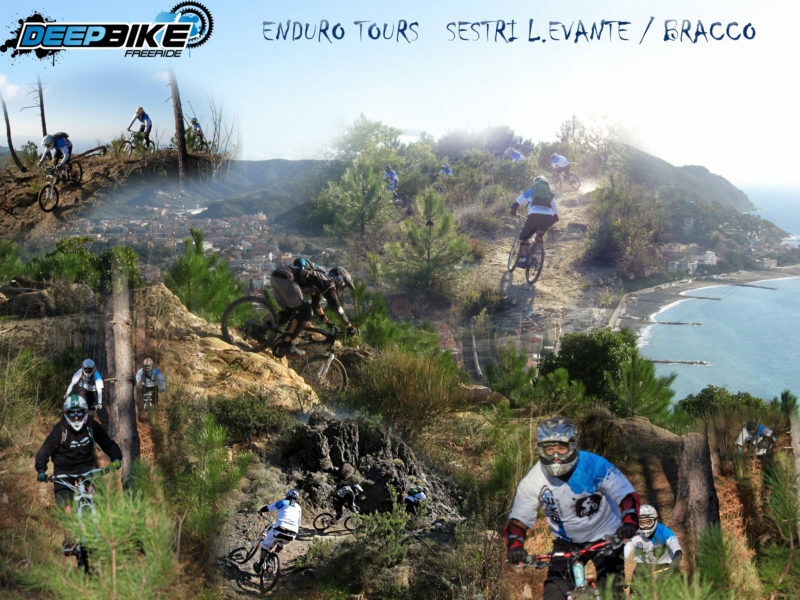 WE SUGGEST YOU USE ENDURO BIKES! IF you want to fully enjoy the trails, ask us for your authorised guide, by doing so, you will contribute to the maintenance of the trails. In the weekends of summer months (June/July/august) and during spring festivities, the funicular railway may be extremely crowded with hikers. Also, note that funicular service may be interrupted at any moment due to bad weather or if so decided by the operators. All tracks run through private properties. Transit has been allowed by the owners only to Deep Bike members or to bikers accompanied by Deep Bike guides. Thanks to the volunteers that maintain the tracks clean, we can organise excursions of 1/2 day or 1 day, throughout the beautiful and varied Ligurian territory, for those who love nature and are willing to pedal. It is in everyone’s interest to point out that in some areas, some tracks/trails require good technical experience/preparation, therefore these trails are not suggested for beginners. “Warning: in this map, trails/roads that are open to public transportation are indicated; such trails, which are not fenced (hence wild animal crossing may occur), and that are not continuously maintained, can present a varied and unsettling ground. The responsibility and decision to use such trails is totally personal, as is the liability. The different levels of difficulty are approximate and not binding; it is just to inform bikers that not all trails are ideal for beginners and/or bikers not expert in “off-road”. 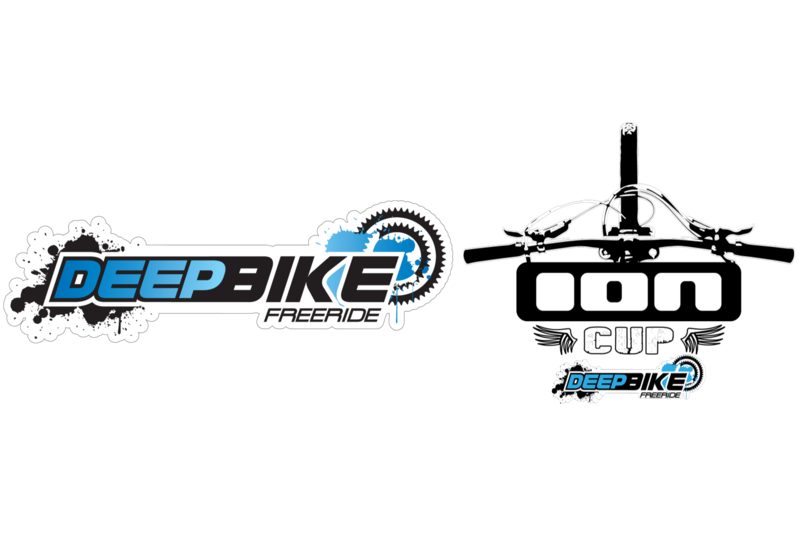 “Deep Bike” Association does not exercise any kind of surveillance on the track/trails/roads. When possible, a simple ordinary cleaning upkeep is performed. We have available big structures that simulate passes typical of bike trial competitions, with heights up to three meters! Such structures are safe and versatile and can be adapted in any type of area; they can be integrated into freestyle ramps with a 3 meter wide landing, that makes everything more fun and exciting, with great aerial acrobatics! You are not competing: drive carefully! Every biker is liable in case of accident and/or damage to their own equipment, to themselves and towards third parties. In any case, the Association declines any responsibility. Available for exhibitions, courses, classes and more. 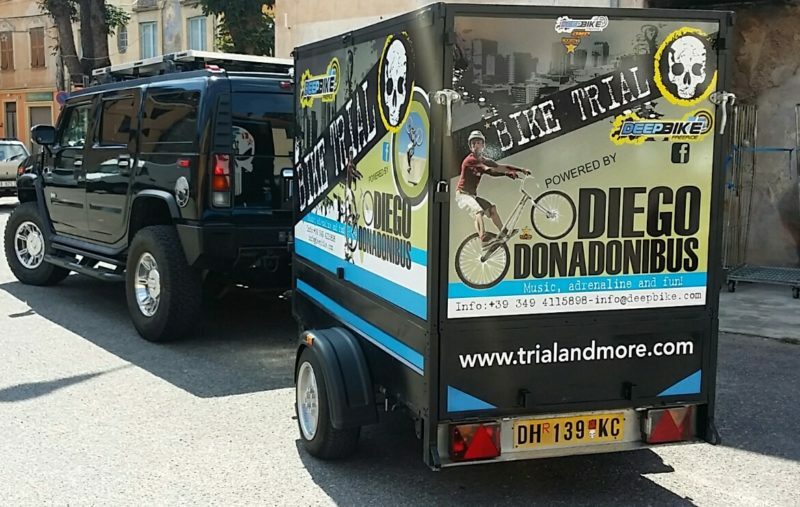 Diego Donadonibus, skilled in bike trial, has been performing all over Italy and abroad for many years. Diego Donadonibus was born in Genoa on the 2nd November 1984; he has more than 15 years of experience in the world of mtb. Thanks to several years of competitions in the bike-trial, dirt-jump and slope-style, he has developed a unique style and technique that allow him to tackle any obstacle. 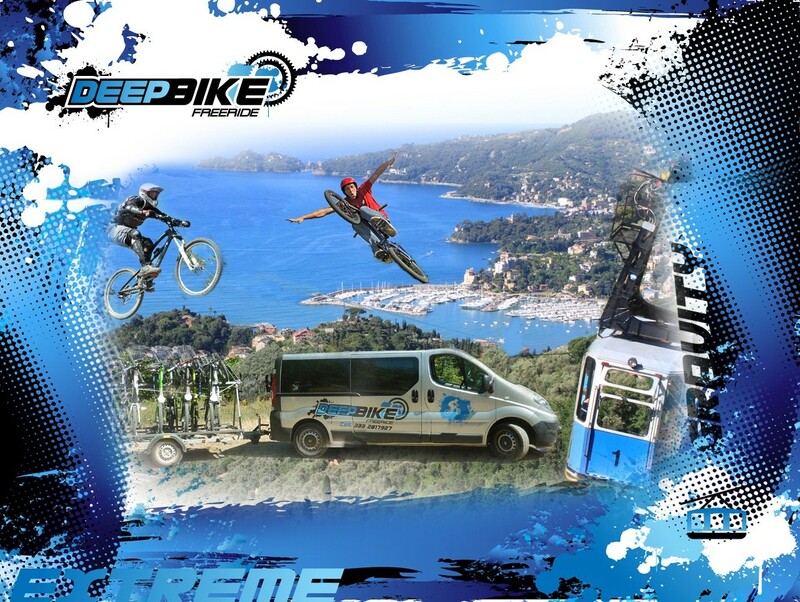 For some years he has been exhibiting in bike-trial all over Italy during shows, expo, trades and sports events. Diego is ready to teach you basic techniques for a safe and proper bike ride!